Just how comfortable would you feel opening your home to a complete stranger? Imagine walking away, knowing that someone you’ve never met is wandering from room to room, eyeing up and down the one place you feel most safe. Well it does happen. A traditional ‘open house’ is a very popular tool for home sellers. And what buyer wouldn’t want to inspect it closely before making the biggest purchase in their life. But it’s up to you – the owner – to protect your valuables when it comes time to schedule your open house. 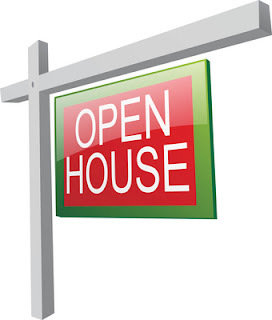 That’s why it is important to take advantage of all the resources available – including your registered real estate professional – who can offer you tips and advice on how to plan for an open house. Visit the Real Estate Council of Ontario (RECO) website at www.reco.on.ca to view the Preparing for an Open House bulletin. RECO administers the Real Estate and Business Brokers Act 2002 on behalf of the Ontario government. Police will tell you that thefts from open houses do happen. Just last year, Durham region police say they recovered property worth half a million dollars after a couple from Oshawa was charged with stealing during open houses. • Remove or safely store small items such as jewelry, MP3 players. • Keep your bills, credit card receipts, and bank statements out of view. • Remove medications from all rooms in the home including your medicine cabinet. • Take inventory – and possibly photos – ahead of time so you know quickly if anything is missing.